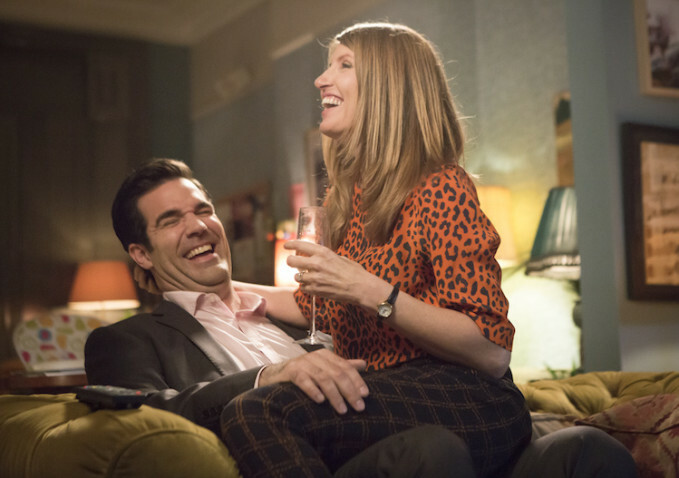 Have you been watching Catastrophe? 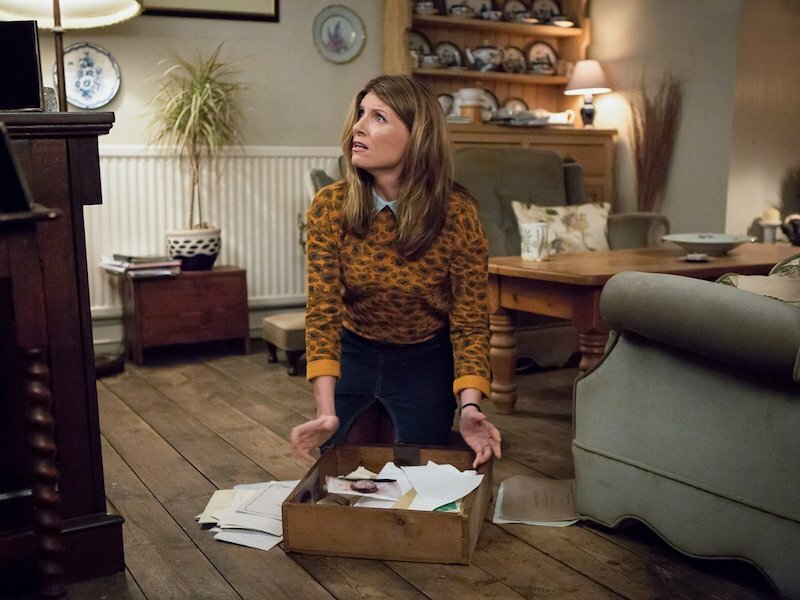 I love almost everything Sharon Horgan’s character wears. Love! So chic, yet playful. And lots of prints! 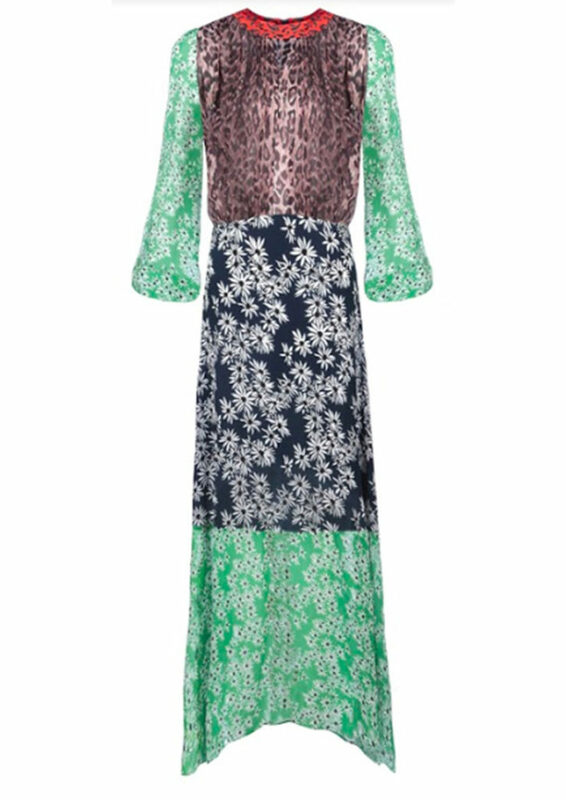 You can buy Rixo London dresses at Net-a-Porter, or also on their website. If you’re looking for a floral blazer, I’d start with Zara. Here are two great options – a long, and a punchier with frilled sleeves. It looks like she wears mostly UK brands, like Warehouse. Here are two great Warehouse floral dresses: the Mae Floral Midi Dress, and the Climbing Rosa Dress. 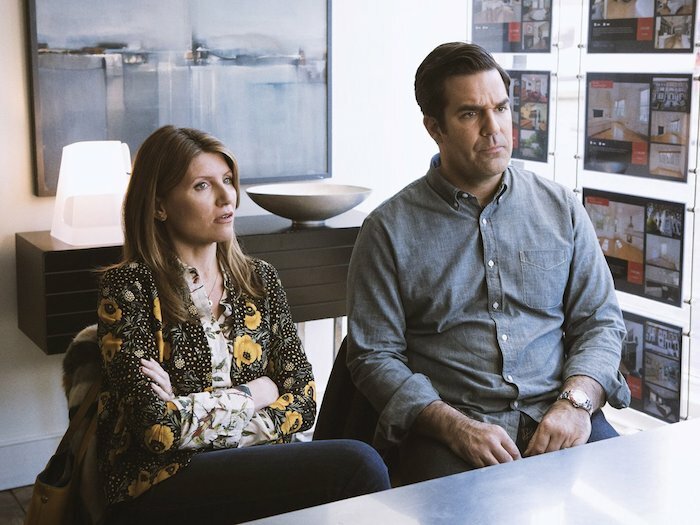 A hundred years ago, I had an adorable horse print blouse from Warehouse, and right now I am kicking myself for getting rid of it, even though it was almost falling apart, I’d worn it so much. Gah! While I prefer the silky blouse over the checked trouser, I cannot find fault with an animal print sweater over a chambray collared shirt and denim skirt. I’m pretty sure the silky number is an old River Island piece, but you can find similar duds (thankfully!) at Asos. Like: Vero Moda 1 in olive, Vero Moda 2 in blue and white, Fred Perry in yellow, and then this too cute Madam Rage Leopard in cobalt. Right now, unfortunately, River Island is doing a lot of sheer, but I wouldn’t be surprised if next season, we see Shazz in these sequins. 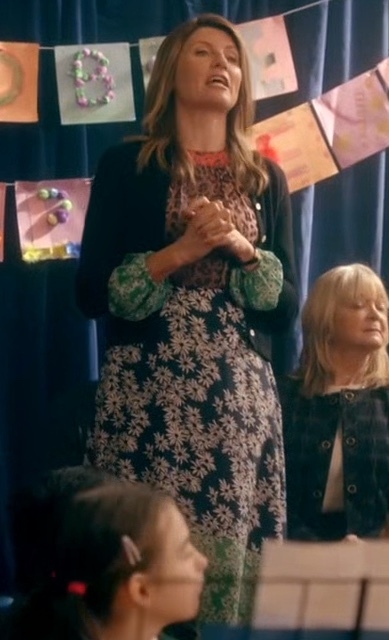 I also would not be surprised if she opts for this Warehouse snakeskin print jumper. Or this Equipment leopard sweater, which I would buy in a heartbeat if I hadn’t spent the last 3 days thinking about our budget. Ugh.